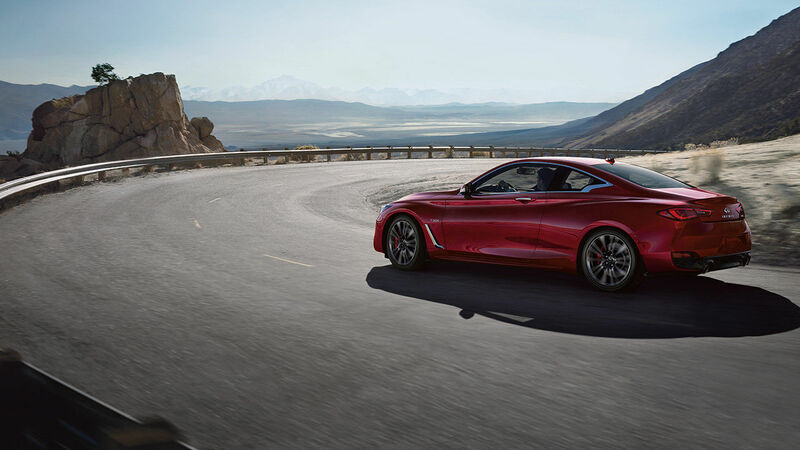 First unveiled in concept form at the 2015 North American International Auto Show in Detroit, and then in production guise a year later, the 2017 Infiniti Q60 is ready to take the compact luxury coupe market by storm. 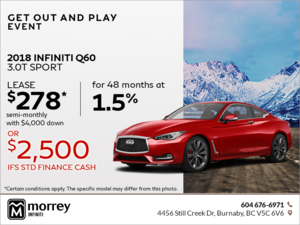 Offering a range of powerful engines, a sleek yet muscular design that is sure to turn heads, and tons of safety and connectivity technologies, the all-new Q60 is offered starting at $45,990. When the original G35 Coupe hit the market back in 2003, its main selling points were its powerful V6 engine that developed 280 horsepower (260 hp in the G35 sedan) and its sporty design that was unlike anything else on the road. Moreover, buyers could get all of that at a price that was lower by a few thousand dollars than the model’s German competitors, so bang for the buck was also a factor in the G35’s initial success. Offering more power and a more noticeable design at a lower price was also the philosophy behind the second-generation G35 Coupe which was launched back in 2007 and renamed Q60 in 2013. That said, both the G35 Coupe and subsequent Q60 always had only one engine to offer to consumers. However, that is not the case with the 2017 Infiniti Q60. 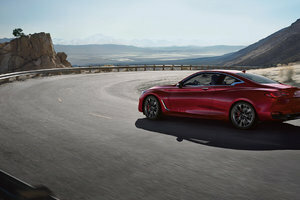 Indeed, the new Q60 now offers three engines, starting with a 2.0-litre, 4-cylinder turbocharged engine that develops 208 horsepower and 258 lb-ft of torque. All-wheel drive is standard on the 2017 Q60, as are 19-inch wheels, a sunroof, LED headlights, electric seats, and Infiniti’s patented RearView Monitor backup camera. Buyers looking for more equipment can turn to the Premium model ($49,990) which adds a navigation system and 13-speaker Bose Performance Audio sound system. The next engine available on the 2017 Q60 is an all-new 3.0-liter VR-series twin-turbo V6 which delivers 300 horsepower. 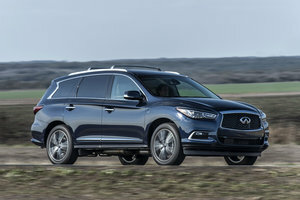 This same power plant is also used in the top-of-the-line Red Sport 400 model, but Infiniti engineers retuned the engine in order to generate 400 horsepower. The 2017 Q60 3.0t with 300 horses under your right foot will be available starting at $52,990 while the 3.0t Red Sport 400 starts at $60,990 and includes Infiniti’s driver assistance technologies such as Adaptive Cruise Control, Lane Departure Prevention with Active Lane Control, Predictive Forward Collision Warning, Forward Emergency Braking, and Blind Spot Intervention, among other active safety features. These systems are also available with the Q60’s other versions, including the 2.0t model. With the 2017 Q60, Infiniti offers buyers who want to stand out on the road a host of powerful versions to choose from along with a refined interior and plenty of advanced features. 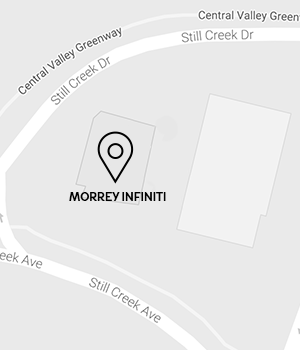 To learn more about the 2017 Infiniti Q60, contact us today at Morrey Infiniti!